How Do I Connect an iPod to a Linux PC? "Research in Motion Ltd's BlackBerry increased its share of the US smartphone market in the first quarter while Apple Inc's iPhone lost ground, according to a report from IDC. "According to the report Rim's share of the US market for advanced phones with computer like features such as email rose to 44.5 percent in the first quarter from 35.1 percent in the fourth quarter while iPhone's share fell to 19.2 percent from 26.7 percent in the fourth quarter." "It may be the first bad news ever about the Apple iPhone, It is certainly good for RIM, the maker of the Blackberry, According to research firm IDC, the iPhone lost smartphone market share in the US during the first quarter. "Reuters writes 'According to the report Rim's share of the US market for advanced phones with computer like features such as email rose to 44.5 percent in the first quarter from 35.1 percent in the fourth quarter while iPhone's share fell to 19.2 percent from 26.7 percent in the fourth quarter.'" "Regardless of Apple's plans to add business features to the iPhone, Research in Motion is and will continue to extend its lead in business phones, according to a new ChangeWave study. An examination of more than 2,000 corporate IT spenders has about 76 percent of all businesses opting for BlackBerries in May, up three percent from the last time the study took place in February; Palm was second place at 17 percent with other competitors filing in the remaining seven percent." "If you have an iPod and far fewer songs than the gigabytes of storage space you have available, then you've probably asked one of iLounge's most popular questions: "how can I load my iPod up with free music?" "There are at least two answers to this question, one generally illegal, and one generally legal. You've probably already heard about the illegal free music options, but just in case you haven't, we'll run through the reasons you'll want to skip them and use the legal free music sites instead." 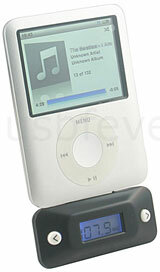 "I just want to be able to put songs on my Apple iPod from my Ubuntu Linux machine. Fortunately, for all of us end-users, the open source community started taking seriously the call to make multimedia a priority for application development. Getting an iPod recognized and connected to a Linux machine is only slightly more difficult than it is with iTunes. "Take note that the only way you will be able to access your iPod for writing is if your iPod is formatted in the Windows format. The Apple formatted iPods can be recognized but writing to them is very difficult (and has, in my case, resulted in complete loss of data on the iPod.)" Link: How Do I Connect an Apple iPod to an Ubuntu Linux PC? iPhone and iPod touch-wielding visitors to next week's Apple Worldwide Developers Conference (WWDC) in San Francisco can enhance their visit to the show with a handy guide made available by iViewr.com. A website for iPeople who are going places, iViewr.com, has introduced its latest event guide aimed at the legion of developers making the pilgrimage to the conference. Completely free to access, this handy 'Pod SnapShot' has the look and feel of a native iPhone application and provides details of all aspects of the show - from Conference Schedules, Lab and Session details, Travel directions, Disabled access, Moscone Center facilities, after hours events and more. "Like the previous event guides we've made available, iViewr provides visitors to the Conference with all of the important information especially formatted for display on their iPhones or iPods" said Rod Cambridge, founder of iViewr. "If you have one of these devices, there's simply no more need to be carrying around a jumble of papers, map and leaflets when a guide like ours is available." To access the guide, simply browse to iviewr.com on an iPhone or iPod touch and click Our Choice. PR: sipgate Inc. announces the immediate availability of a free application for the iPhone, which for the first time allows consumers to natively use any VoIP service which uses the industry standard SIP. Consumers can now use their iPhones to make and receive VoIP calls from their devices over a WiFi Internet connection using a wide variety of VoIP providers. The VoIP-enabling software is available from sipgate's website. You can benefit from all the great features SIP brings into the game. place calls at virtually no cost when travelling abroad, etc. Understand that none of these features are provided by sipgate. You need to purchase a SIP service and a WiFi connection from third parties in order to enjoy them. Just log in at sipgate.com and set up your account to forward calls to and from your favorite VoIP service. With the sipgate service, users can dial any number without using minutes from a wireless plan. This is particularly useful when calling to or from other countries, as call costs can be as high as $3 per minute. 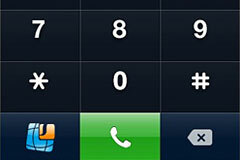 However, when using a VoIP service, costs can be kept as low as $0.01 per minute. sipgate is giving new users 111 free minutes for domestic calls for users to test out VoIP usage on the device. Another benefit of sipgate is that consumers can use any domestic or international number provided by their VoIP service on their iPhone. This means that they can make and receive calls from different domestic and international numbers, all on a single device. Thilo Salmon, CEO of sipgate commented: "We love VoIP and we love the iPhone so we are giving people like us who always wanted VoIP on the iPhone the ability to use any SIP-based VoIP service they want. We are thrilled that Apple is opening up the iPhone and we look forward to taking part in future application development." Salmon continued: "As a company we strive to make useful services accessible to everyone. There will be more innovation for businesses and consumers coming from sipgate this year, so keep your eyes open for more news." 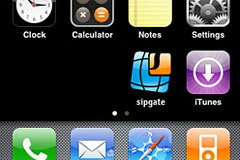 In order to use the sipgate iPhone client it's recommended that you update your iPhone's firmware to v1.1.4. The software is 100% standard compliant and is not tied to any particular SIP service. You can use it with any SIP service you like. And it is 100% free. available range: 10 meters approximately. PR: Put an end to family power struggles (literally) with PowerDock. Call a cease-fire with PowerDock, a charging base where every iPod and iPhone in the house can get together to charge its batteries. Does your family own a family of iPod or iPhone models? Can you only find one charger when all of you need to recharge? Call a cease-fire with PowerDock, a charging base where every iPod and iPhone in the house can get together to charge its batteries. Just slip your iPod or iPhone into place to safely charge. Models available with two or four Apple Universal Docks built into a single charging base. Substantial brushed aluminum with a grippy rubber base stays put on countertops and desktops. Includes a collection of Universal Dock insert adapters to ensure that every iPod and iPhone in the house gets a place at the table. PR: podUp is an application which copies all your music files from your iPod to a folder of your choosing, without having anything to do with iTunes. 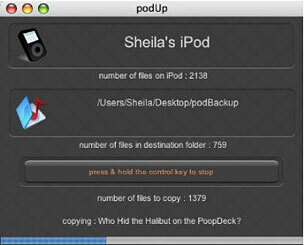 podUp is an application which copies all your music files from your iPod to a folder of your choosing, without having anything to do with iTunes. It does not attempt to interfere with whatever copyright protection those files may have, it simply copies them, so files bought from the iTunes store will still be authorised only for the computer(s) you have authorised. 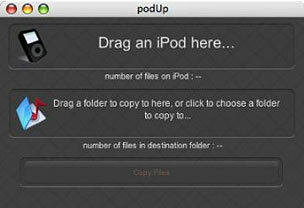 Drag an iPod from the desktop to the podUp window. Either drag the destination folder to the podUp window, or click in the window and choose the destination. Click on the "Copy Files" button, and off it goes. If your iPod is pretty full, it can take a long time, so you can stop it at anytime by pressing and holding the control key to the bottom left of your keyboard. podUp remembers what it's already copied, so you can resume at anytime. Internationalized, and can check for updates. PhoneView (formerly MegaPhone) is a Mac OS X application which lets you use your iPhone or iPod touch for file storage. It features drag and drop, making it fast and easy to move files back and forth between the Mac and iPhone. In addition, PhoneView provides note adding and editing, and easy access to your iTunes, iPhoto and notes, SMS, contacts and call history data. Convert your text, Word or PDF files into iPhone notes. Create iPhone Notes on your Mac. Try before you buy. Download the demo. Fixes an issue that could cause Contacts mode not to function. Fixes an issue that could cause PhoneView to hang on quit. Corrects a problem with the Replace All function when copying items from the device. Fixes an issue where some notes may not be copied to the Mac. Fixes an issue that prevented SMS and Call History mode from working when the user directory is stored on a remote NFS file system. Fixes an issue with exporting album photos that do not have a file name stored on the device. Fixes an issue where an error message may not be displayed if saving changes fails. Fixes an issue where the Cancel button may not work properly during transfers. 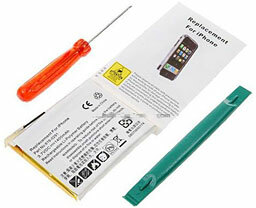 PR: DealExtreme offers a battery replacement kit for iPhone for the extremely friendly price of $7.29, free shipping included. Of course the iPhone is not designed to be user-serviceable, so if the idea of prying your 'Phone's case open with a (provided) spudger tool makes you a bit queasy, then you might be well-advised to give this deal a pass. On the other hand, if you feel reasonably comfortable taking things apart, then this kit can save you a bunch. I haven't done it, but my guess is that it's probably somewhat similar to replacing the battery in an iPod, which I have done, and was pleasantly surprised by how well that went for me. There is of course the question of how good this battery can be at the price, as always, caveat emptor is advised, but at the modest price you're not risking much in this roll of the dice. DealExtreme's Replacement Li-Polymer Battery with Toolkit for iPhone (3.7V 1400mAh) comes with everything you need for replacing your iPhone's battery at home, including a screwdriver, a case opener tool, and of course the iPhone compatible 3.7V 1400mAh Li-Polymer battery. As noted, the price is $7.29, shipping included. PR: Harman Kardon, Inc., has announced the introduction of The Bridge II docking station for iPod. The Bridge II connects a compatible iPod model* to a Harman Kardon The Bridge-ready** audio/video component, and enables expanded capabilities for iPod including audio/video playback through a home entertainment system, onscreen menu display for iPod, remote control operation, and charging. The Bridge II connects to the Harman Kardon DMC 1000 digital media center, the new AVR 354 7.1-channel audio/video receiver and the HK 3490 stereo receiver, or to other Harman Kardon The Bridge-ready receivers. 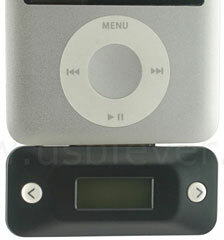 It enables control of music, and image and video playback (with the AVR 354), with menu information for iPod visible on the user's TV and on the DMC 1000's, or receiver's, front panel. The Bridge II will be available in early summer 2008 at $129 suggested retail. It will also be included with the AVR 354 receiver. 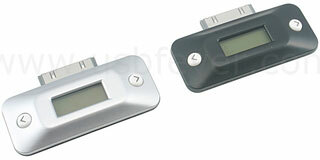 *Compatible with iPod models with docking connector; including iPod touch, iPod nano and all Click Wheel models. **The Bridge II is compatible with the following Harman Kardon components: DMC 1000, AVR 354, AVR 47 Series, AVR 146, AVR 45 Series, AVR 40 Series and HK 3490. Not compatible with other Harman Kardon products, or other audio/video equipment brands.